Just a quick update today. 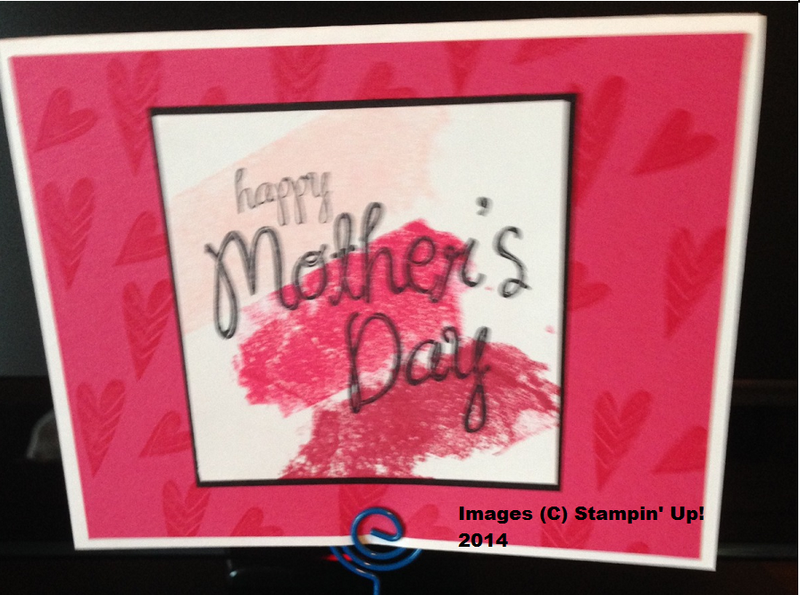 Now don't freak out because Mother's Day is not until May, but I wanted to share this adorable, clean and simple card my sister, Cindy, made using the masking tape technique to add splashes of color. Just beautiful, Sis. If you live in the Kansas City, Missouri area, you should look her up and join her stamp club. They meet once a month on Fridays (sorry, I don't know her exact schedule). My stamp club meets the 3d Saturday of the month. See you on March 15th.